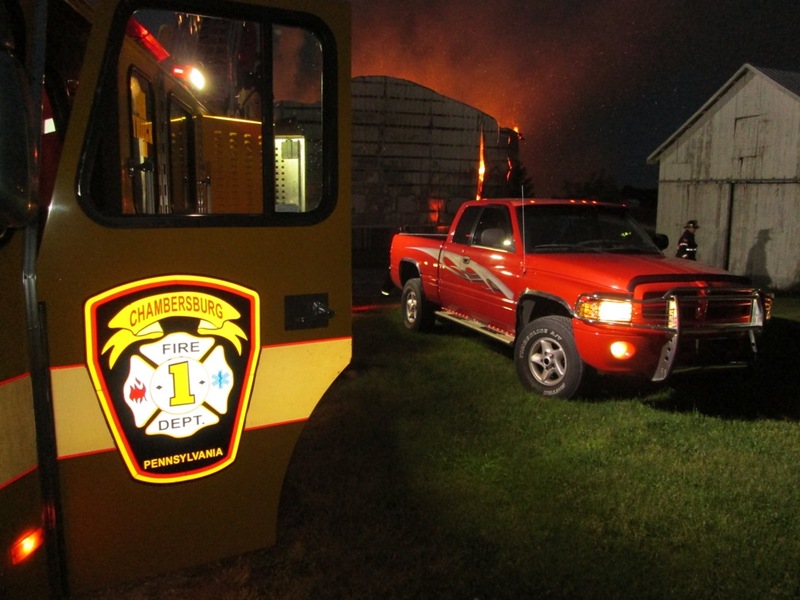 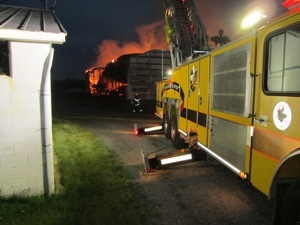 The second working fire of the day took "B" shift to 7735 Edenville Cheesetown Road for a barn fire. Truck 1 arrived on scene with a crew of five to assist with fire suppression, while Engine 1-2 and Engine 1-4 assisted with water supply operations. 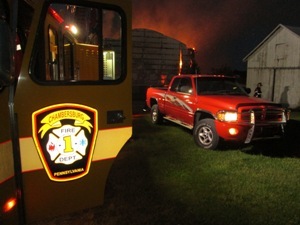 Crews remained on scene for approximately four hours.